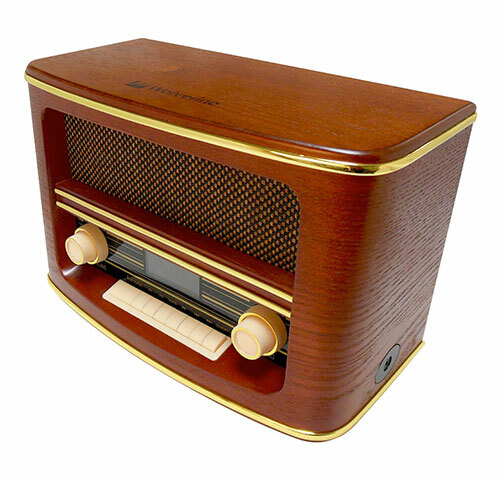 Where performance and simplicity are paramount the Wolverine Retro style Bluetooth speaker and Radio combo fits the bill. With dial knobs and big buttons, it is the antithesis of today's ever more complex electronic products. 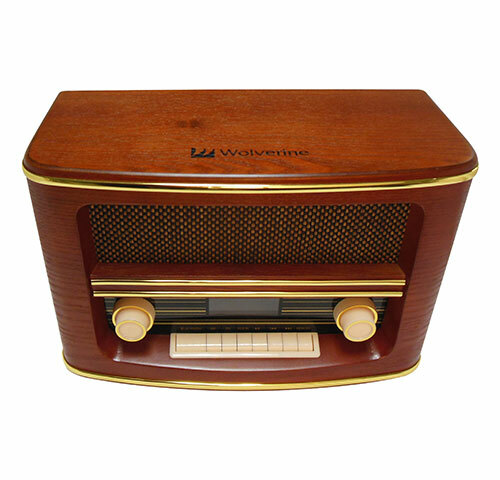 Behind its retro style and simplicity, hides a multitude of technologies integrating Bluetooth for wireless audio link to smart phones, laptops and tablets, AUX-IN and AM/FM Radio. 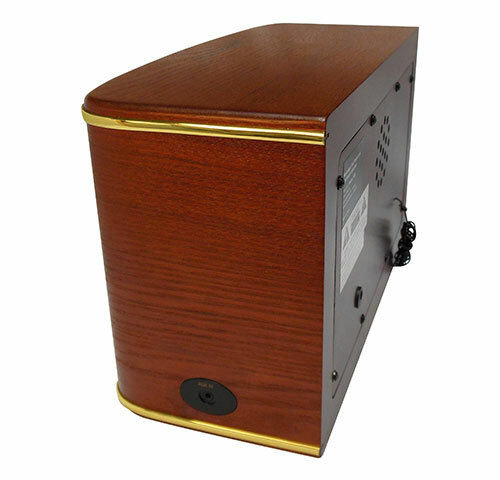 The handmade wood cabinet is not just for appearance sake, but also doubles as an acoustically inert housing. A heavy-magnet, long-throw 2-inch x 2 drivers facilitates higher sound reproduction and better reception over anything else near it in size or cost. 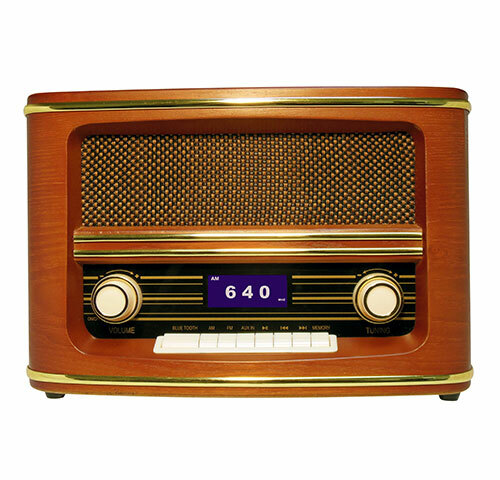 Enjoy a trip down memory lane as you listen to your favorite songs on this retro style AM/FM radio and Bluetooth Speaker.